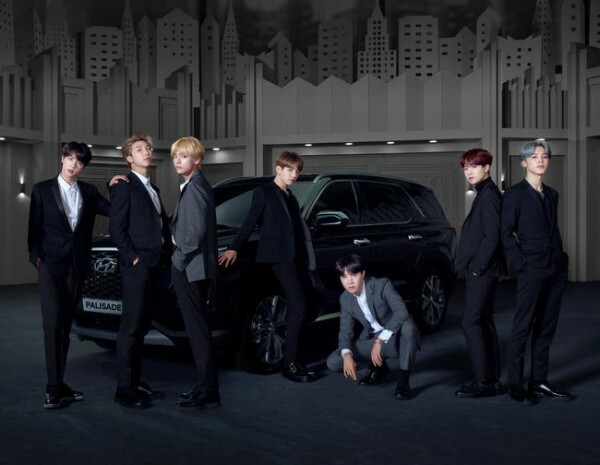 Nov 27, according to Korea media, BTS was chosen as world model for Hyundai's new 2020 flagship SUV ‘Palisade’. ‘Palisade’ will be introduced on LA Auto Show at Nov 28(Local Time) and BTS will introduce the new car through video on the show. Meanwhile, BTS continues their ‘LOVE YOURSELF’ concert tour and will attend 2018 Asia Artist Awards tomorrow(11/28).